Having your car wrecked can make your day a whole lot more annoying and frustrating. Having your car wrecked and relying on a less then professional towing company can actually turn your day into something you will want to keep repressed for years to come. In such situations you will want a professional, quick, and reliable service provider. Someone, who will restore some light into your frustrating experience and allow you to go on with your day. When dealing with a wrecker, you will need every bit of help you can get. 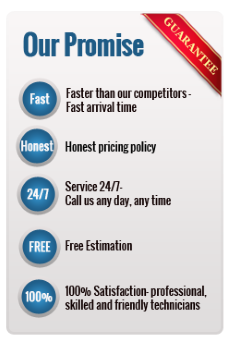 That is why we offer our customers several advantages that make their ordeals a bit more bearable. By offering our services in our own special way, we uphold our reputation and actually enjoy helping motorists in need and sending them back on their road with a smile on their face and a song in their heart. Our customers know that whenever they need us our dispatch center will be staffed and someone will be there to take their call. They also know that one of our expert technicians will arrive by their side within 30 minutes. They also know that the technician that will come will absolutely know how to take care of business professionally, quickly, and safely. To top it all, they also know that the price they will be charged will be a fair one. They also know that there is nothing else they need to know. They simply call us. • All towing services – including medium duty and heavy duty, local distance and long distance, flatbed and dolly, etc.